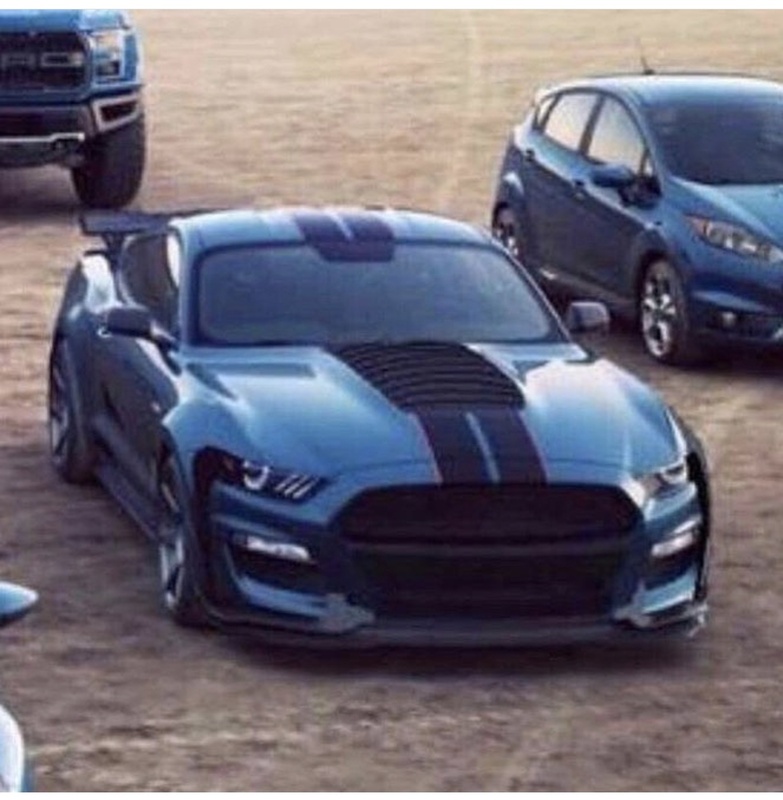 The first purported pictures of the 2020 Ford Mustang Shelby GT500 surfaced on Instagram yesterday and now we’re learning more about the model. Ford is holding a dealers convention in Las Vegas and it appears the pictures were taken at that event. Nothing is official, but it speaks volumes toward the authenticity of the photos. In other news, a Mustang6G member says someone who attended the event told them the car’s supercharged V8 engine will produce between 780 hp (581 kW / 790 PS) and 790 hp (589 kW / 801 PS). 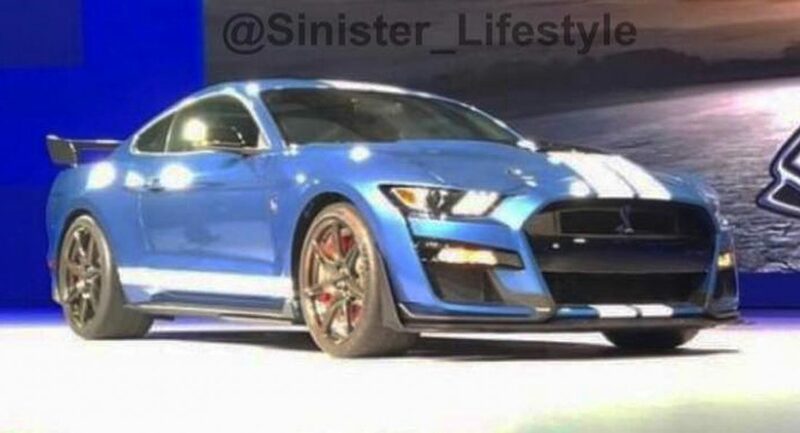 That’s significantly more than the 700+ hp (522 kW / 710 PS) figure confirmed by Ford and it would make the GT500 nearly as powerful as the Dodge Challenger SRT Hellcat Redeye. The Dodge has a supercharged 6.2-liter V8 that produces 797 hp (594 kW / 808 PS) and 707 lb-ft (957 Nm) of torque. It enables the car to accelerate from 0-60 mph (0-96 km/h) in 3.4 seconds before hitting a top speed of up to 203 mph (326 km/h). Ford is staying tight-lipped about the GT500, but the attendee reportedly said the car will be offered with a manual and a ten-speed automatic gearbox. There was no mention of the rumored dual-clutch transmission. Mustang6G also reports that Ford told dealers it is working on a four-door Mustang which will be available with a turbocharged V8 engine. 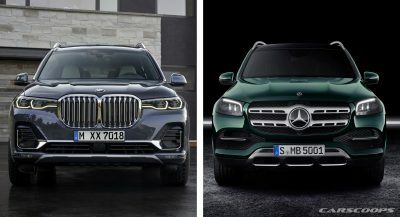 The model will apparently take some inspiration from the Audi A7 and Porsche Panamera. If true, the car would likely be based on the next-generation Mustang and be either a four-door coupe or a five-door hatchback. The model could also help to fill the void left by the axing of the Focus, Fusion and Taurus. The rumors should be taken with a grain of salt, but we shouldn’t have to wait much longer for detailed specifications about the GT500 as the model will be launched next year. “Will Reportedly Have Been”? Do you mean “Between”? lol. Editing. How does it work? Hey, proofreading basic English words is HARD! The Mustang is a pony car not a supercar. I do agree it doesn’t need all that hp. The Mustang is just fine where it is. One heck of a car for the dollar. why the old body…why not the new body.? Because the old body was meaner looking? That’s what all the fan boys say.. I kinda of agree.. Believe the front end has fitting issues with the new headlight and front end design. I kid a bit. The handling of the mustang is pretty darn good now, but that much HP is really for straight lines. 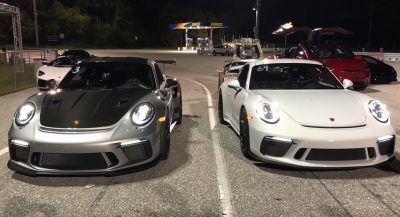 The GT350 is apparently an great track car so that’s why I was hoping this thing would come close to a GT3 RS. 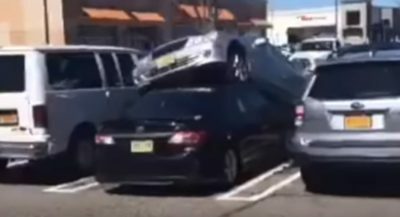 Tbh Mustang’s handling is underrated. It’s a super common car here in the midwest so everyone trashes them but the recent models are really great. Don’t go to cars and coffee. You’ll be fine. It’s going to be heavy, all the extra performance parts will add weight to it. I would love to see someone increase performance by reducing weight, not just increasing the HP. Hopefully unlike the ZR1, it can actually put all that power down. Don’t count on it. CD6 platform is not known for translating power very well. The 780-790 hp seems feasible. The 4-door Mustang, I’m not sure I believe that. Maybe a new RWD Lincoln? Sure. Maybe even something to compete with the Charger from Ford. Possible. But Ford made their anti-car stance known, so why would they invest in a niche 4-door when they walked away from selling hundreds of thousands of Fusions and Foci? Seriously, Ford sold a combined 368,008 Focus and Fusions in the US last year alone. Coupe sedan mustang would be cool though..let the renders begin!! Now, I just need to rob a bank. SO WE’RE GETTING A FALCON?!?! ?